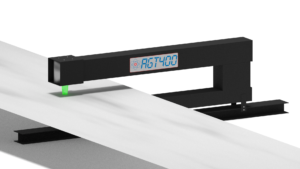 Advanced Gauging Technologies has just shipped a new AGT400 upgrade to replace an outdated Global/5310 gauge at Steel Technologies in Portage, Indiana. This gauge will be installed on a 60″ Braner slitting line and will measure various steel alloys up to .250″ thick. By replacing their old gauge, Steel Technologies will be able to reduce downtime, improve efficiency and provide the most accurate and reliable thickness measurement available.